For a job well done, trust Brisbane Tree Experts, the tree care experts for 30 years. We are the ‘Difficult Access Specialists’ who offer full clean up on completion. Welcome to Brisbane Tree Experts, we are here to provide you professional tree care and maintenance services. 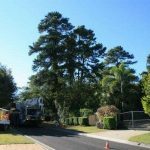 The professional tree care services include commercial tree maintenance, tree removal, tree surgery, stump grinding, emergency storm damage, fallen tree, mulch supplies, palm cleaning and removal and much more services in Brisbane. 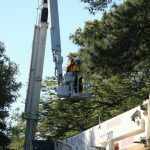 Our skilled professional team offers tree trimming services to unhealthy or dead branches of the tree. Every homeowner is concerned with tree-killing termites which are also known as white ants. These white ants can decay the tree stumpsand also pose a risk to the home. If you suspect white ants, don’t hesitate to contact our team for the best treatment to eradicate the white ants in your trees. At its purest form tree trimming services includes the removal of the dead or damaged trees. In contrast, in the event you have a tree fall in the middle of the night you can call on our professional team to help in your emergency. Especially in summer storm season it is imperative to have fallen trees safely removed, never attempt this yourself. In addition to this we also offer stump grinding with the latest modern technologies that give you the best results without damaging your garden. If you have palm tree’s causing you issues our palm cleaning services are a great way to tidy up your yard. 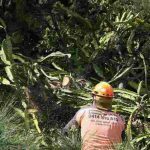 For commercial clients we are proud to offer the best commercial tree maintenanceservices in Brisbane including tips and advice that help to maintain good tree health. Emergency Storm Damage after Hours Number : 0414 515 815. IMPORTANT – Please ensure that you contact your local council for approval before commencing any form of tree removal or reduction. Where required, we can liaise with local councils regarding Vegetation Protection Orders (VPO) on your behalf. For advice regarding VPO’s, please contact us.